May 25 and 27 enjoy an early taste of yoga classes that will be offered this summer from 9 to 10 a.m. Cost $10/person. Participants should meet at the Little Point Sable Lighthouse. Join Cindy Beth is a 200-hour Vinyasa Flow yoga instructor. She is happy to be returning to Silver Lake for her 4th season offering an all levels and accessible style of beach yoga. The hour-long session opens with gentle breath work, moving from the ground into seated and kneeling poses before building into strength and balancing sequences and finally closing in a sun soaked, guided relaxation. 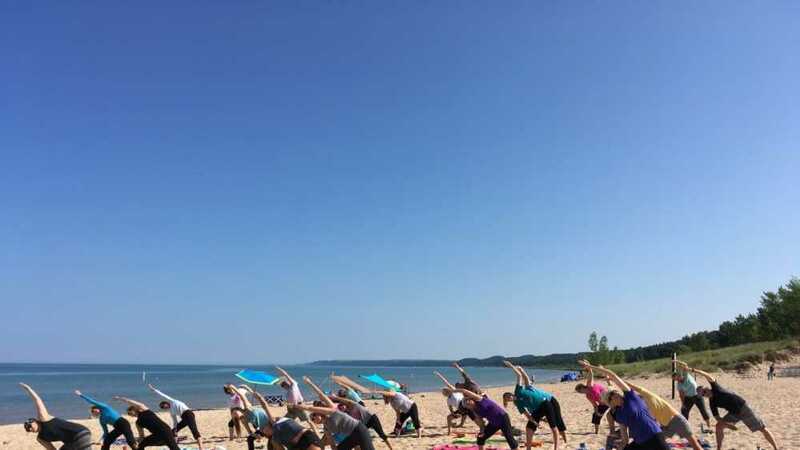 Beach yoga is appropriate for all ages, genders and experience levels with a focus on cultivating self-care with respect for injuries and limitations. Students should dress in layers, bring water and a towel (instead of a yoga mat) for their practice. Students must sign a liability waiver before participating, and are recommended to arrive early for their first class. Cash or check only accepted, sorry no credit cards. Class is held regardless of weather. For the most updated information about classes please visit Facebook. For more information, please call the park or email Cindy Beth. Please Note: The Michigan Department of Natural Resources makes every effort to provide the most up-to-date and accurate information on the web calendar. However, dates occasionally change and events may be canceled for any reason. Please call the unit hosting the event to confirm dates and times prior to your arrival. A Recreation Passport is required for entry into all Michigan state parks and recreation areas. Check "YES" when you renew your license plate at the Secretary of State. For camping reservations, visit www.midnrreservations.com or call 1-800-447-2757.